This pickup is based on a pickup made by the Valco company in the USA during -50's and -60's. The pickup is not meant to be a true copy even if the inside structure of the pickup is pretty close to the original. This is not a humbucker or a half humbucker, as it may look. This is a single coil pickup and the pickup's coil is a different size compared to the standard humbucker coil. The sound is unique, more like a P90 than a humbucker. Great pickup for a slide guitar. 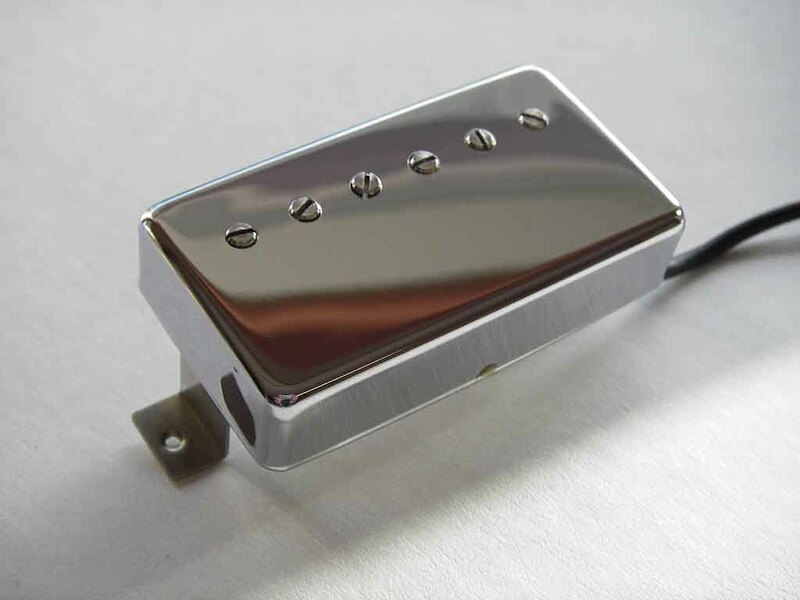 The pickup uses Alnico2 bar magnets and Awg 43 magnet wire. Large slotted set screws are used for the pole screws as in the original Valco pickup. Nickel-silver cover and base plate. Two standard size Alnico bars are mounted between steel plates. The other plate works as a magnetic return pole.